View More In Paraffin Baths. 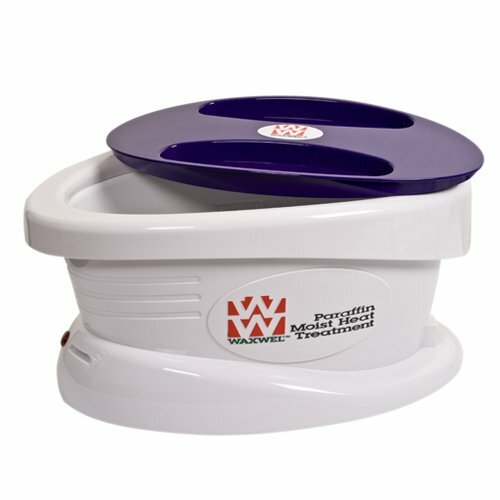 The WaxWel Paraffin Wax Bath unit is excellent for promoting skin health and rehabilitating deep tissue injuries through the use of soothing paraffin heat therapy. This unit is ideal for heavy-duty use in high-traffic clinics or great to use at home as the unit is lightweight and portable. Use it in clinics, salons, spas, or bring the relaxing spa experience home. Offered with an oversized tank, the unit can accommodate a man's size 12.5 foot and holds 6 lbs of paraffin wax. Easily bathe hands, feet, wrists, ankles and elbows in the paraffin wax. It is great to use to soften and smooth skin, and ideal to use to soothe the pain of arthritis, joint stiffness, inflammation, sports injuries, and muscle spasms. Continued use of heat therapy is also an effective way to increase range of motion. The WaxWel Bath Unit is offered with a lid, grill, guide and standard operating temperature of 125 to 134 degrees Fahrenheit. The tank features an insulated outer housing to help retain heat. It can accommodate any brand of paraffin moist heat treatment wax. This listing is for the unit only with no accessories included. If you have any questions about this product by WaxWel, contact us by completing and submitting the form below. If you are looking for a specif part number, please include it with your message.